Use this website to quickly find the most important information about the London Airport called London Heathrow Airport: Departures, Arrivals, Parking, Car Hire, Hotels near the airport and other information about London Heathrow airport. 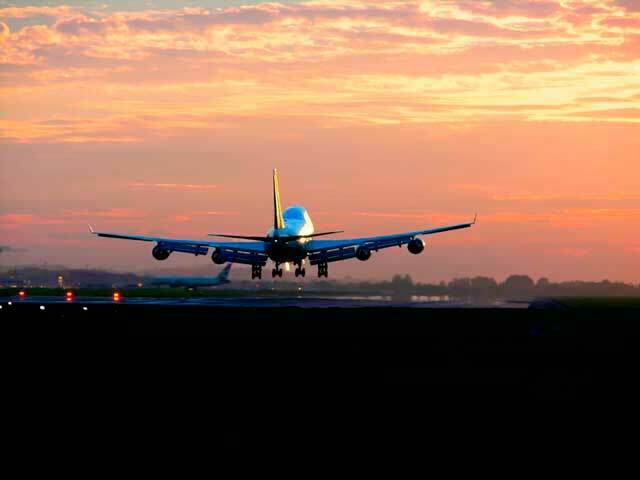 Plan your travel to LHR Airport with the information provided in this site. London Heathrow Airport, known officially as Heathrow Airport (IATA: LHR, ICAO: EGLL) is located 14 miles (23 km) west of Central London, England, United Kingdom. 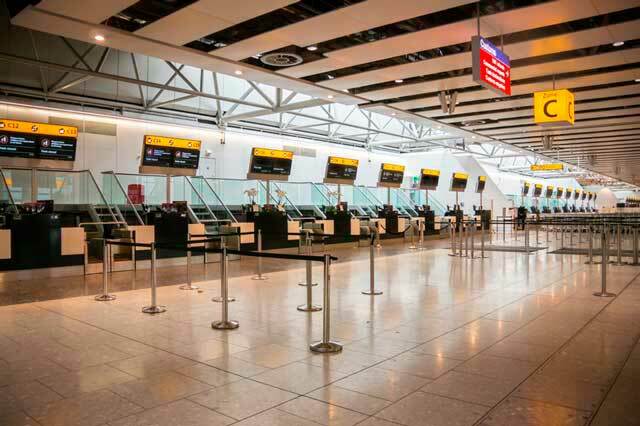 Heathrow Airport is the second busiest airport in the world by international traffic and the busiest in Europe. London Heathrow Airport is the major international airport in the western area in Greater London city, Hillingdon. In 2018 LHR Airport handled 80,102,017 passengers, a record of traffic passengers. The airport is provided with 2 runways (east/west) and 4 terminals. 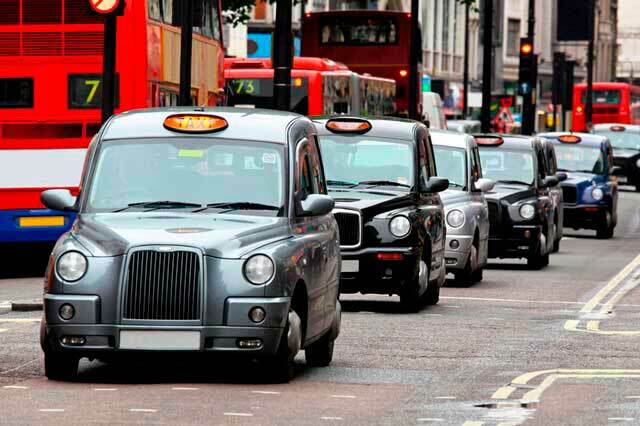 There are many methods of transportation to get to central London as taxis, underground, train, buses or hire a car. 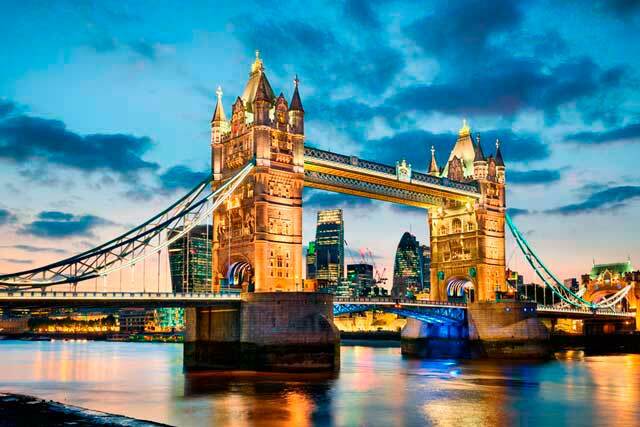 London is the capital city of United Kingdom and London Heathrow is one of the most important organisms in the city. On the other hand, it is one of the six international airports that serve Greater London. LHR Airport is the major international airport in the westernmost borough in Greater London, Hillingdon. London Heathrow Airport serves as the the primary hub for British Airways and it is also the primary operating base for Virgin Atlantic. The airport has currently 2 runways and 4 terminals (T1 is closed since June 2015 to demolish it). In the future, it’s planned to built a third runway at Heathrow to increase the capacity at UK airports. In 2018, London Heathrow Airport (LHR) handled a record 80,102,017 passengers. The airport managed a 2.7% increase Comparing with 2017. Based on this numbers, Heathrow is the busiest airport in all Europe and it is also the seventh busiest airport in the world by passenger traffic. LHR Airport consists of 4 terminals: 2, 3, 4 and 5. Terminal 1 it’s inoperative and it is planned to be demolished. 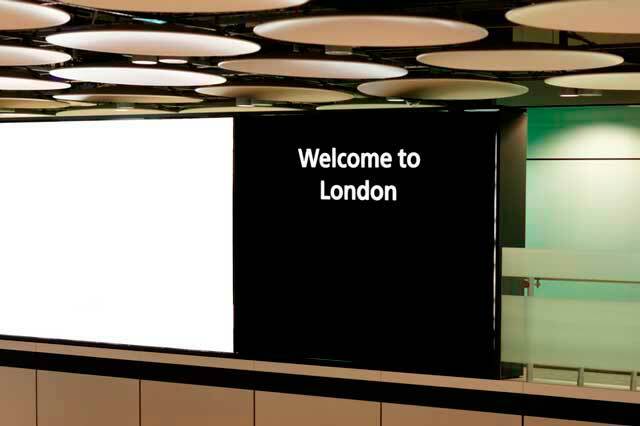 It’s the newest terminal in Heathrow Airport. It’s known as Queen's Terminal and it’s mostly used by all Star Alliance airlines which fly from the airport except Air India (T4). Icelandair, Germanwings and Aer Lingus fly operate from T2. See more info. Handles flight departures for long-distance routes to foreign carriers to Asia, United States and Canada. In 2019 it is going to be demolished, just in time to complete T2 expansion. See more info. This terminal is exclusively used by Iberia and British Airways carriers. T5 it’s a four-storey main terminal building (Concourse A) and two satellite buildings which link to the main terminal through the people mover transit system (underground). The Concourse C (the second satellite) has habilitated aircraft stands for the Airbus A380. Heathrow is accessible via the nearby M4 motorway or A4 road (Terminals 1 and 3), the M25 motorway (Terminals 4, 5) and the A30 road (Terminal 4). There are drop-off and pick-up areas at all terminals. There are car parks (National Car Parks is the most recognizable) but there are many options. Car parks link to the terminals by shuttle buses. - Train: A quick option to link between Heathrow and London city. Heathrow Express connects to London Paddington and travel time is about 15', a fast journey time indeed. - Bus: Local buses operate from Heathrow to stations in west London and also Thames Valley. Buses to rail stations: from Heathrow coaches connect with the national rail network at Feltham, Woking, Watford Junction and Reading. - Taxi: To pick a taxi get outside each terminal at the ranks. They are black vehicles and all taxis from Heathrow have a wheelchair access. The trip to London is about an hour. - Inter-terminal Transport: Heathrow Express trains or buses transfer to Terminal 4 and 5. Heathrow Express is free for transportation between Heathrow Central and T4 and T5. To connect passengers between Terminal 5 and the business carpark there’s the ULTra Personal Rapid Transport, the transportation pods which can speed at 40km/h. Location: Terminal 3 and Terminal 5 (Mezzanine level of Heathrow Express Station). Telephone: 0844 335 1801 (within UK). +44 20 3761 1800 (international). Lines open 10:30-16:30 (UK time).